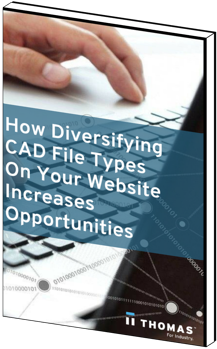 CAD files are in high demand among engineers and sourcing professionals. If you're not supplying this rich data on your website, you may be missing out on lead and revenue opportunities. We've put together a whitepaper that goes further in detail about this new industrial marketing trend.